Musicians have long been drawn to this place. Gram Parsons died at the Joshua Tree Inn. A friend of mine spotted Led Zeppelin’s former front man, Robert Plant, at a nearby hotel, which is not all that shocking considering he has a song called 29 Palms. Queens of the Stone Age front man and desert rock god Josh Homme is a longtime Joshua Tree resident. 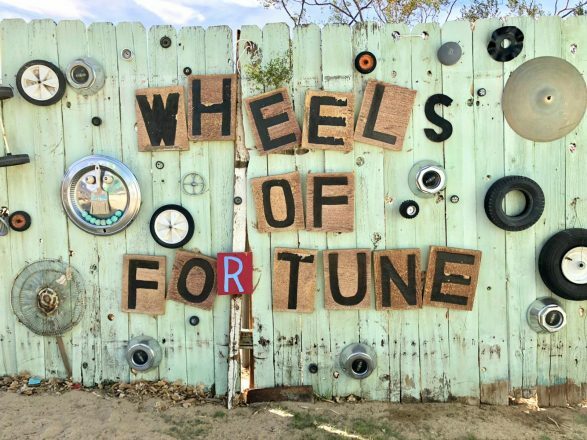 Bands including the Foo Fighters, Arctic Monkeys and Iggy Pop are just some of the artists who have spent time recording at the highly regarded Rancho de la Luna recording studio. 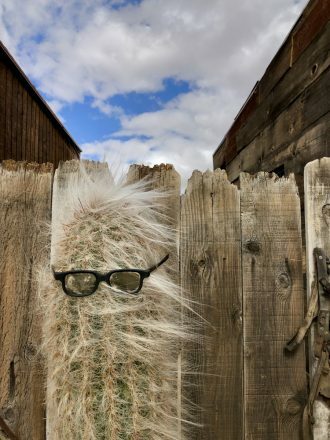 A mere 12 miles away, Pappy & Harriet’s Pioneertown Palace serves some of the best food in the desert and has had everyone from Paul McCartney to Vampire Weekend perform on their stage. Ironically, the iconic cover of U2’s The Joshua Tree album was not shot in the immediate area. Photographer Anton Corbijn spent a few days with the band in 1986 before shooting the group them near a photogenic yucca near Death Valley. The album’s eponymous Joshua Tree has since died but you can learn more about it in this fascinating blog post. 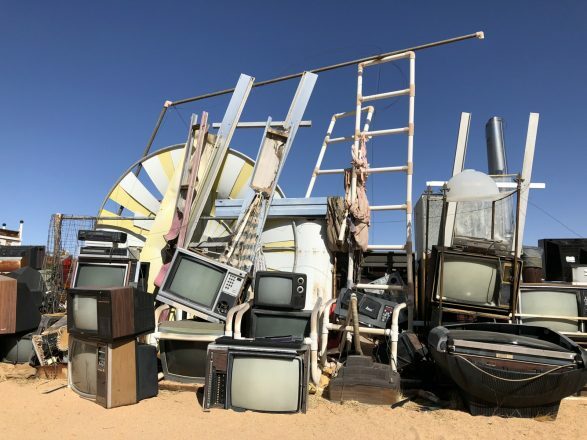 There is Mad Max type vibe if you wander the over 7 acres of folk art sculptures at the Noah Purifoy Foundation’s Joshua Tree Outdoor Desert Art Museum. 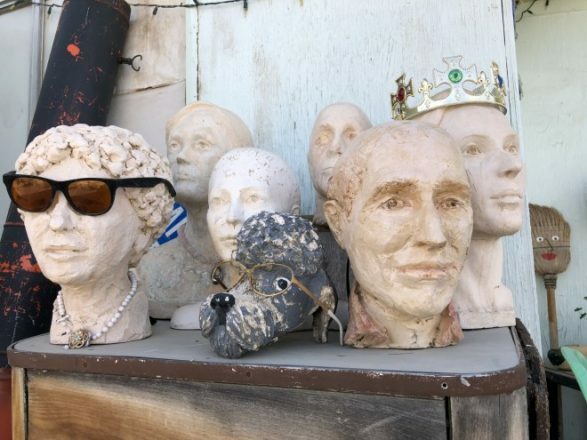 At first glance, this museum might appear to be a junk yard. But spend some time wandering the grounds and you’ll realize this place is an absolute desert gem. Noah Purifoy was an African-American visual artist who was born in Alabama and was a founding director of the Watts Towers Art Center. He started creating sculptures from the debris of the Watts Riots. 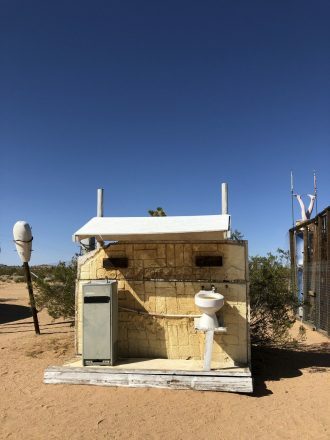 Purifoy spent the last 15 years of his life creating environmental sculptures made from found materials on the property between 1989 and 2004. 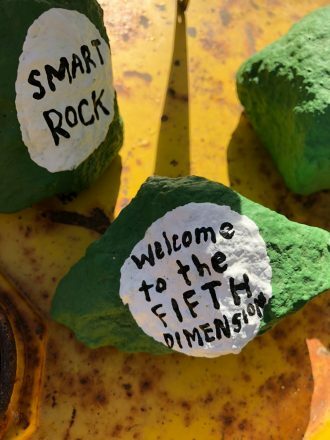 Some of the sculptures have powerful political messages about segregation and racism. It’s well worth spending some time exploring the property. 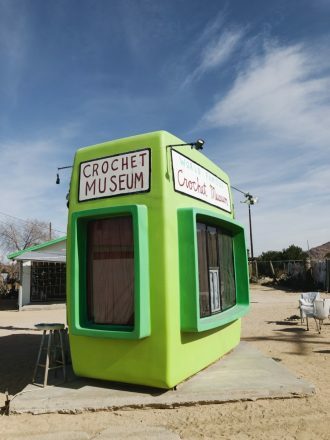 Be sure not to miss Shari Elf’s World Famous Crochet Museum housed in a re-purposed former Fotomat booth. 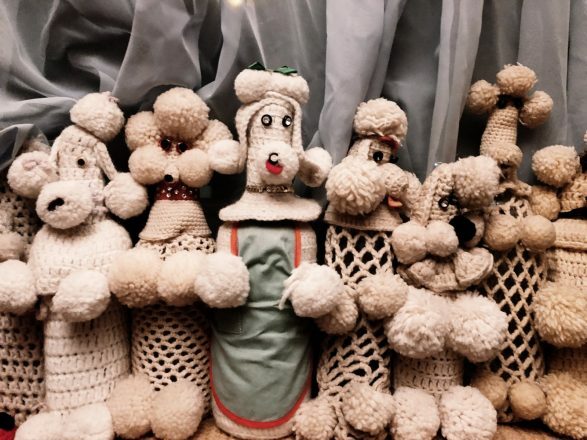 When you walk into the compact space packed with crocheted animals, you might not be sure if you’re in a craft museum or have accidentally stumbled onto the set of a David Lynch film. 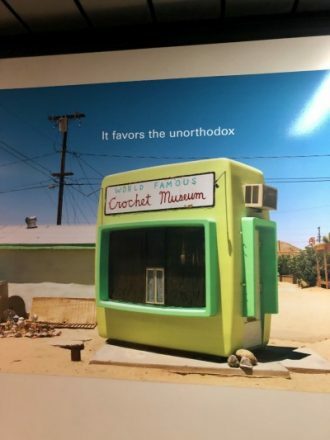 I recently noticed images of the green tiny museum popping up on HSBC ads in the jetways of airports in Miami and Germany. 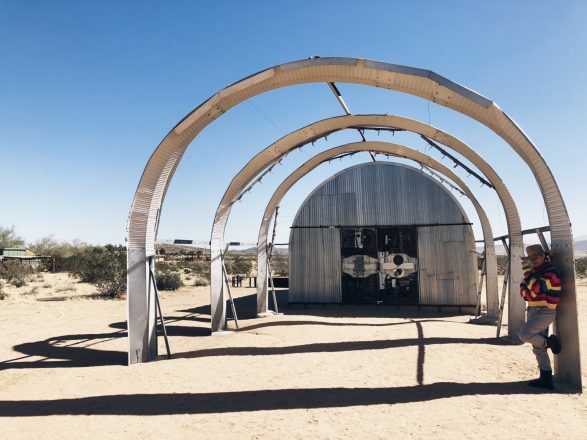 If you are looking for things to do in the desert and want something a bit grittier than the manicured mid-century goodness of nearby Palm Springs and Palm Desert, I’d highly recommend checking out Joshua Tree’s art scene. It might not be to everyone’s taste but it is definitely a memorable and like the HSBC ads state, unorthodox. It’s also a whole lot of fun.